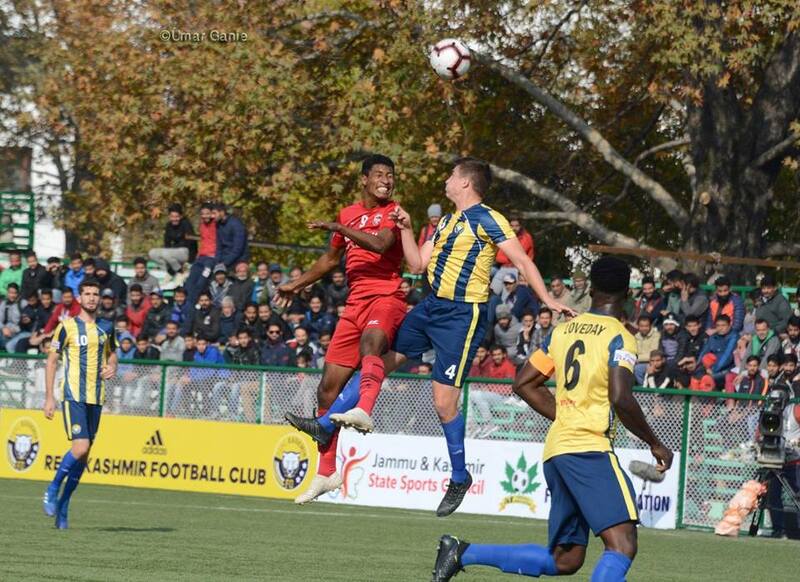 SRINAGAR: Debutants Real Kashmir FC continued their impressive showing in the I-League by registering a 1-0 victory over former champions Aizawl FC at the TRC Turf ground here on Wednesday. Ivorian midfielder Bazie Armand struck the winner at the half-hour mark to help the hosts register their third win and propel them to fourth in the league standings with 10 points from six games. Aizawl remains in ninth place with five points from seven games. Both coaches made one change to the playing eleven from the side which began their respective previous games. New Ghanaian recruit Abednego Kofi Teteh got the first start in place of Zambian Aaron Katebe for the Kashmiris while Joe Zoherliana of Aizawl was replaced in deep defence by Nigerian Kareem Nurain who made a comeback post an injury lay-off. The hosts made their intentions clear from the outset as Ivorian striker Krizo took a snapshot in the opening minutes but Gurpreet, the Aizawl keeper was equal to the task. Then Surchandra Singh coming in from the right flank made a good first-time connection to a Nagem Tamang cross in the eighth minute but hit the side-netting. Aizawl had a chance of their own in the 25th minute when Albert’s cross from the right forced a tip-over by Bilal the Kashmir keeper, but the ball bounced off the bar and came back to Liberian striker Ansumanah Kromah, who despite being a bit out of position, managed a side-flick which lobbed over the goal. The hosts then went ahead in the half-hour mark off a set-piece. Surchandra Singh, who got involved in a Kashmir goal for the second game running, delivered a wonderful corner from the left to which Bazie rose above the Aizawl defence to direct his header past Gurpreet into the far corner. This was the Ivorian’s second goal in this year’s Hero I-League. Aizawl got the first chance of the second half when Albert was set up for a free-header by Lalrinfela, who delivered a wonderful cross from inside the box on the left, but his goal-bound header bounced off Mason Robertson in the Kashmir defence. For the hosts, it was Krizo who got the best chances of the half and two free-headers, one at the quarter of an hour mark off a cross from Kofi and another in the 82nd minute off a free-kick, missed their marks. Coach Gift Raikhan played all his cards and even brought on Kyrgistani midfielder Bektur Talgat in place of David Lalrinmuana in the 73rd minute, but it was not enough to stop Scottish coach David Robertson’s Real Kashmir from running out winners on the day.